Seeing an opportunity to improve the provision of interpreter services in education, Daniel Crabtree and Rachel Brown, American Sign Language Interpreters, opened Crabtree's doors in 2012. Ensuring the Deaf community, interpreters, and clients all receive top-notch customer service is our commitment. Demonstrating this with consistency, the level of service quickly became the cornerstone of Crabtree Interpreting. Our expertise lies in the educational, social service, and community interpreting industries; we pride ourselves in providing quality interpreting services to the Deaf and hard of hearing community. 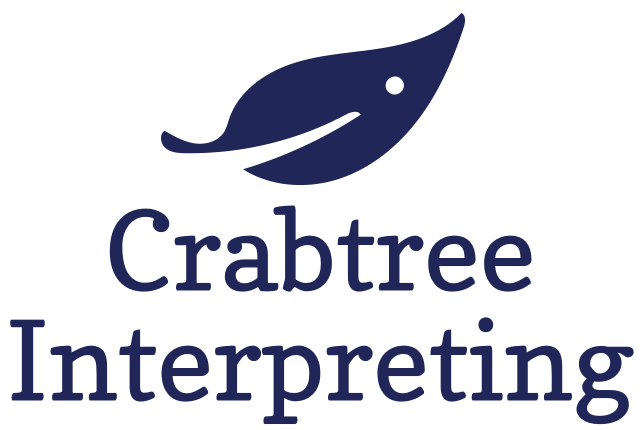 We at Crabtree Interpreting know that timely response to all interpreting requests is key to meeting your business and communication needs. Click the link below to get in touch. We now have interpreters working throughout the State of Texas at major universities, community colleges, urban and rural school districts, as well as various community settings. Our Professional Development Department offers extensive training and mentoring to the next generation of interpreters through its ongoing workshops and skills labs. Several of our employees are leaders in professional organizations at the local, state, and national level.